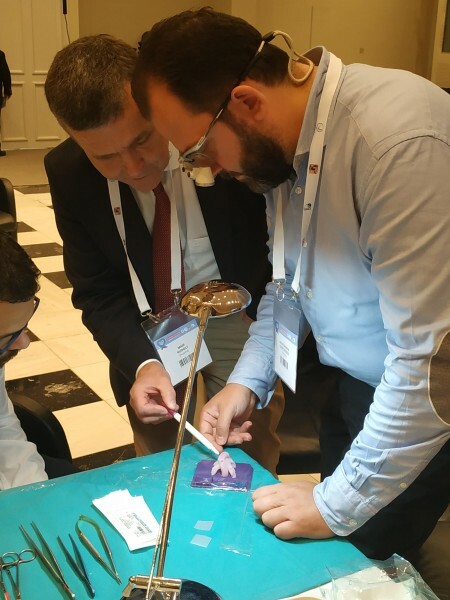 Inspired by the medical revolution of cardiac 3D Printing, the European Congenital Heart Surgeons Association (ECHSA), in collaboration with the Surgery Working Group of the Association for European Pediatric and Congenital Cardiology (AEPC), introduced the first of a series of advanced Hands-On Surgical Simulation Training Workshops during the International “Athens Cross Road Congress on Cardiovascular Diseases”, which was held in Athens, Greece, on November 9, 2018. 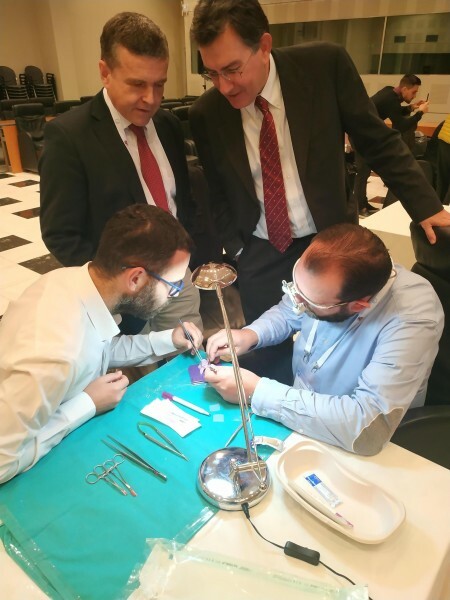 This inaugural Workshop focused on teaching junior surgeons the Arterial Switch Operation (ASO) for Transposition of the Great Arteries: Lectures on the precise surgical technique, its fine points and potential pitfalls were followed by “dry lab” practice, where participants had the opportunity to perform the ASO on 3D-printed, accurate, life-sized physical models of the hearts of real babies with TGA. 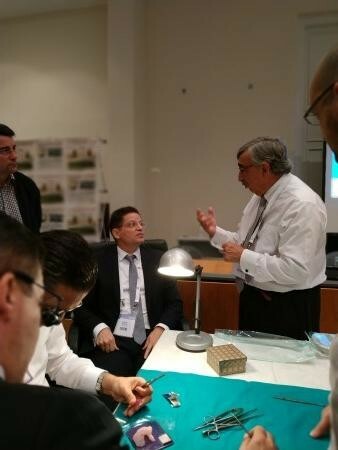 The Workshop faculty included George Sarris as ECHSA President, Jose Fragata as AEPC Surgery WG Chair, as well as our colleagues Boulos Asfour and Rudolf Mair. 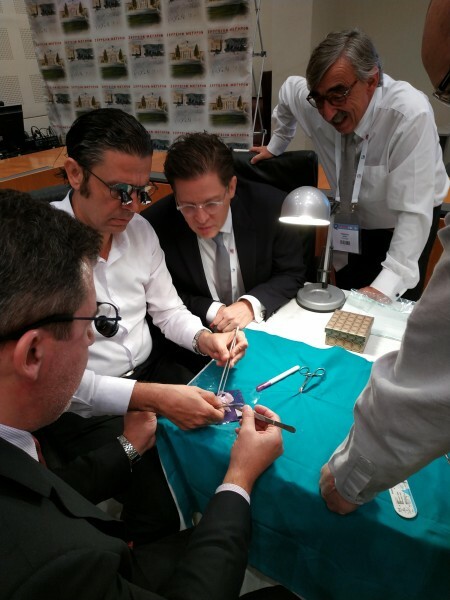 The practical session was complemented by surgical video presentations of special cases and a lively question and answer session regarding crucial aspects of the procedure. 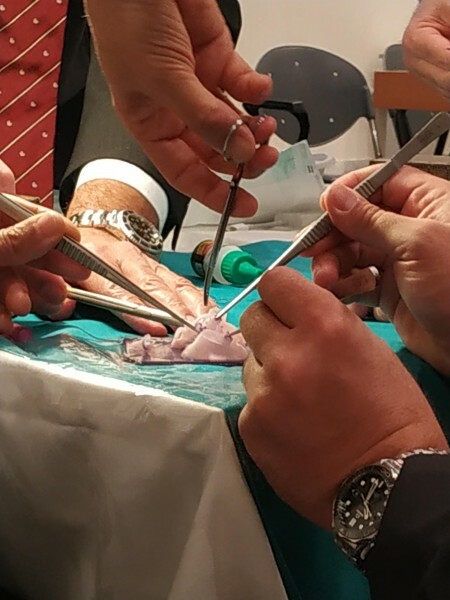 This Workshop, which was evaluated enthusiastically and very highly by its participants, represented a fantastic opportunity to learn and practice the challenging technique of this “cornerstone operation” in modern pediatric heart surgery, and represented a major contribution to the surgical education of the congenital heart surgery community. 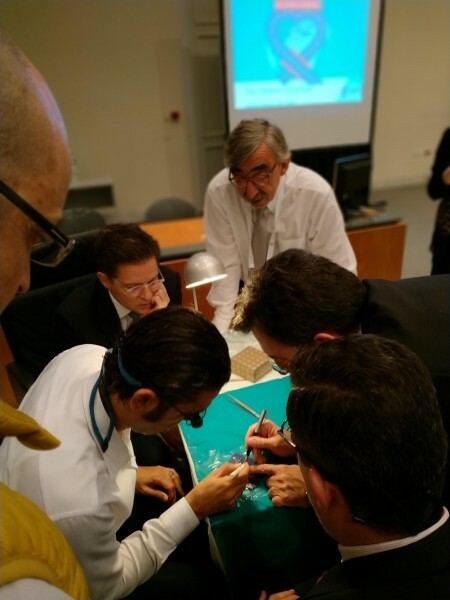 Furthermore, this seminar may serve as an important milestone and significant paradigm in surgical training, even outside the field of congenital heart disease. ECHSA is certainly planning to provide more such seminars in the future, focusing on various important pediatric cardiac procedures.